We hope you found all your Easter Eggs! Don’t forget to save a table or get a gift card for Mom from her favorite restaurant, Simply Asia!! For the best in fine Asian cuisine, look no further than Simply Asia. We offer a variety of Chinese, Thai, and Japanese dishes to give you a taste of Asia in Thurmont, Maryland. Our experienced chef will prepare something delectable for you whether you're dining in or carrying out. 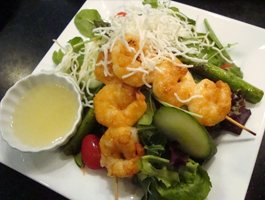 Simply Asia offers delicate Asian cuisine and a sushi bar you will love. Come join us for a delicious lunch from appetizers to entrees. Our dine-in menu offers something for everyone from Chinese food to Thai cuisine. We offer you a taste of Asia without leaving town. Let us share our delicious food with you. Simply Asia in Thurmont, Maryland, offers flavorful, authentic Chinese, Thai, and Japanese cuisine. 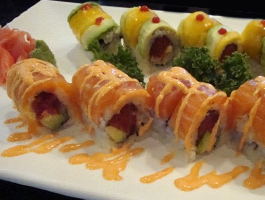 From our classic fresh sushi bar to Chinese & Thai cuisine, we offer dishes to tantalize your taste buds. You can dine in, carry out, or have dishes delivered. We even cater a variety of events. Be sure to come back often, because we feature different specialty items each month. Our current owners bought Simply Asia in 2010, keeping the same name, but changing the dining concept to introduce pan Asian and fusion cuisine to the area. We offer quality food at affordable prices in a casual and relaxed atmosphere. Our commitment is to serve you fresh, healthy Asian-inspired delicacies and authentic gourmet foods. Our head chef, who has more than 20 years of experience in Asian cuisine, prepares dishes to order with vegetables, spices, and locally sourced meat. We also serve healthier food alternatives such as gluten free, low sodium, and steams/oil free. Vegetarian dishes are also available. When you dine in, enjoy our spacious dining room or sit at the sushi bar, watching our culinary artist in action. We also create carryout or delivery meals for those on the go. We recommend calling ahead for reservations of dine-in groups of five or more. Tuesday - Thursday: 11:00 a.m. - 9:00 p.m.
Friday, Saturday: 11:00 a.m. - 9:30 p.m.
**We will be closing early Wednesday, February 6th at 5:00 PM. We are located just 25 minutes from both Gettysburg, PA, and Frederick, MD, at exit 806 on US Route 15.